What's Wrong with My Citrus????????????? 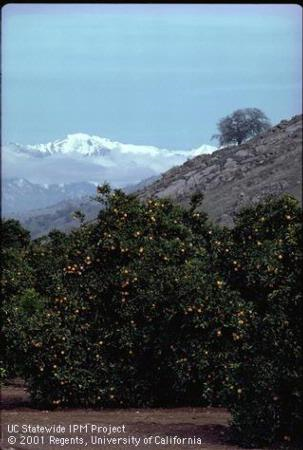 In the last two decades, many distinctive citrus selections have become available at retail markets in the US. These include cultivars such as 'Cara Cara' navel orange, 'Cocktail' pummelo-mandarin hybrid, 'Variegated Pink' lemon, 'Seedless Kishu' mandarin and 'Buddha's Hand' citron. Among specialty ctirus growers, there is intense interesst in acquiring nev varieties with novel or unusual chracteristics of appearance, coloration, flavor, size and functional properties. The newly released pummelo hybrid 'Valentine', combines the large size and low acidity from its pummelo parent, complex, floral taste from 'Dancy' mandarin and juicy red pulp from 'Ruby hybrid. It matures in mid-February near the Valentine's holiday and when it is cut lengthwise and turned upside down, the flesh of the fruit resembles a vibrant red heart. 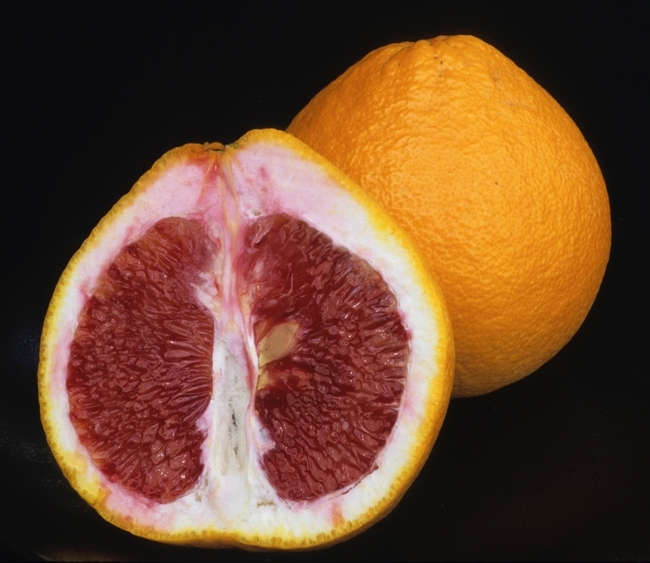 It is unique in being a grapefruit-like fruit with anthocyanin pigmentation, which is a potential marketing advantage at a time when many anitoxidant-rich fruits, such as pomegranate, bleuberry and blackberry, have seen sales increase because of their percieved health benefits.